Weather: Sydney 14°C - 20°C . Partly cloudy. LARA Bingle has deleted all photos of beau Sam Worthington from Instagram while he has deleted his account altogether. But why? KIM Kardashian was attacked by serial prankster Vitalii Sediuk in Paris as she arrived at a fashion show. Watch the shocking footage. HOT on the heels of Emma Watson, former Spice Girl and fashionista Victoria Beckham has delivered a moving speech at the United Nations. CHEYENNE Tozzi adds beauty ambassador to her resume as we reveal the week behind celebrity lines. AUTHORITIES have confirmed pop singer Simone Battle committed suicide, two days after the body of the 25-year-old was found in her West Hollywood home. Fans are still reeling from the loss of the rising star, who came to prominence on talent series The X Factor in the United States and was a member of the group G.R.L. The Los Angeles County Coroner released the cause of death today, as Battle’s father expressed his shock. Speaking to gossip website TMZ, a distraught Anthony Battle said there were no signs that the young singer was struggling. The pair had chatted via text message the night before, he said. American musician Derek Butler shared an emotional tribute on Instagram over the weekend, making reference to Battle “hurting and afraid” and being “broken but still so beautiful”. Tributes from celebrities and those who had worked with the talented performer continue to roll in. 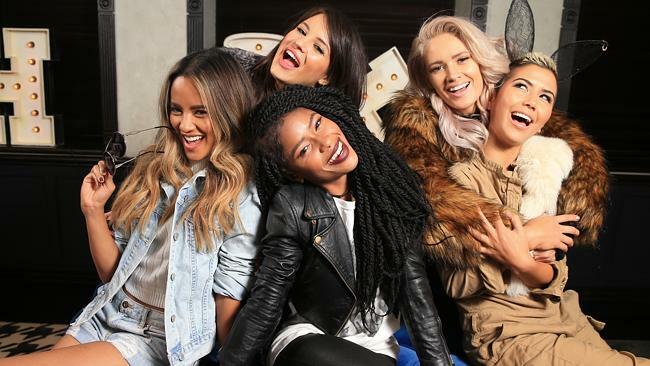 I am so sad to hear about the news Simone Battle has passed away. She was such a fun nice person. It's such a loss. Rest in peace Simone. Devastated & upset to hear about the passing of @GRLSimone. My prayers go out to her family @robinantinpcd @GRL & my ReignDeer family. 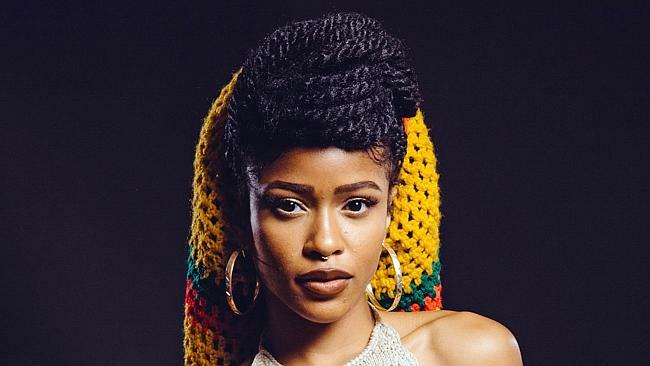 Simone Battle's death proves that even if someone may seem happy on the outside, they still might need help. Never assume how someone feels. G.R.L. recently visited Australia as part of a promotional tour for their breakout single Ugly Heart. The band was due to play a gig in Las Vegas for Aussie fans as part of the Nova Red Room Global Tour, which took a number of local competition winners to the US for a whirlwind multi-city concert trip. A post on G.R.L.’s Twitter account on Saturday said: “Words cannot express the depth of our loss. Simone’s incredible talent was only surpassed by the size of her heart. If you need help, contact Lifeline on 131 114, 24 hours a day, or visit the website. DON’T miss out on all the latest Aussie celebrity action as Mercedes-Benz Fashion Festival kicks off in Sydney. MY how they’ve changed... Check out our favourite celebrity transformations. News Limited Copyright © 2014. All times on this site are AEST (GMT +10).